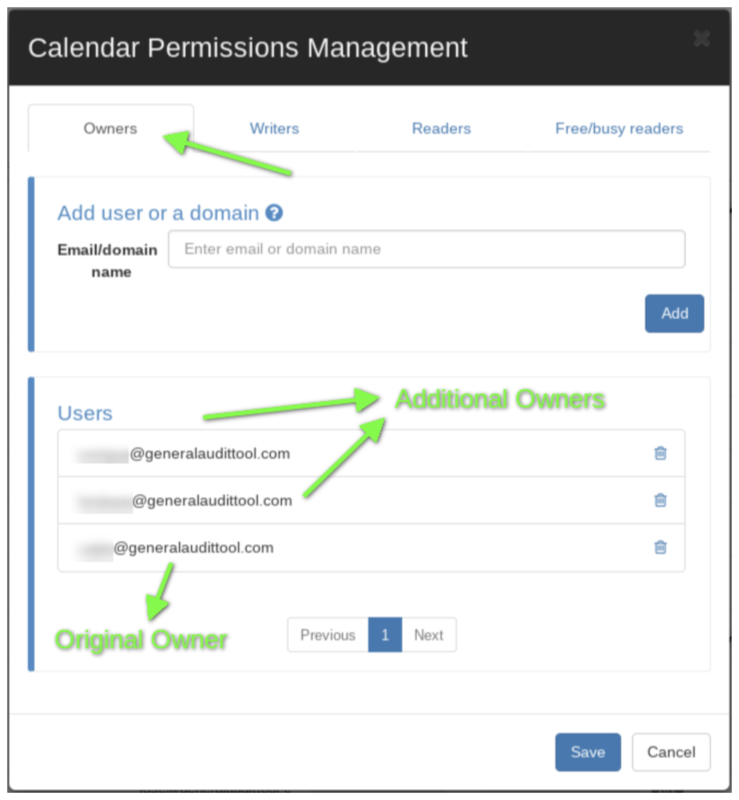 Using Calendar Audit an admin can add additional owners to any existing calendar owned by a user on their domain. 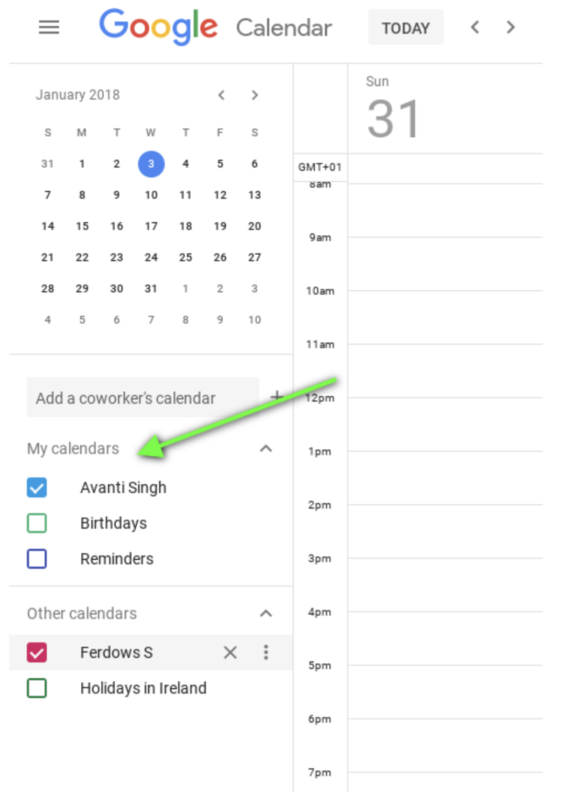 G Suite admins are able to add Writers/Readers and Free/Busy for any calendar. “Free/Busy Reader only” – Provides read access to free/busy information. “Reader” – Provides read access to the calendar. Private events will appear to users with reader access, but event details will be hidden. “Writer” – Provides read and write access to the calendar. Private events will appear to users with writer access, and event details will be visible. “Owner” – Provides ownership of the calendar. This role has all of the permissions of the writer role with the additional ability to see and manipulate ACLs. 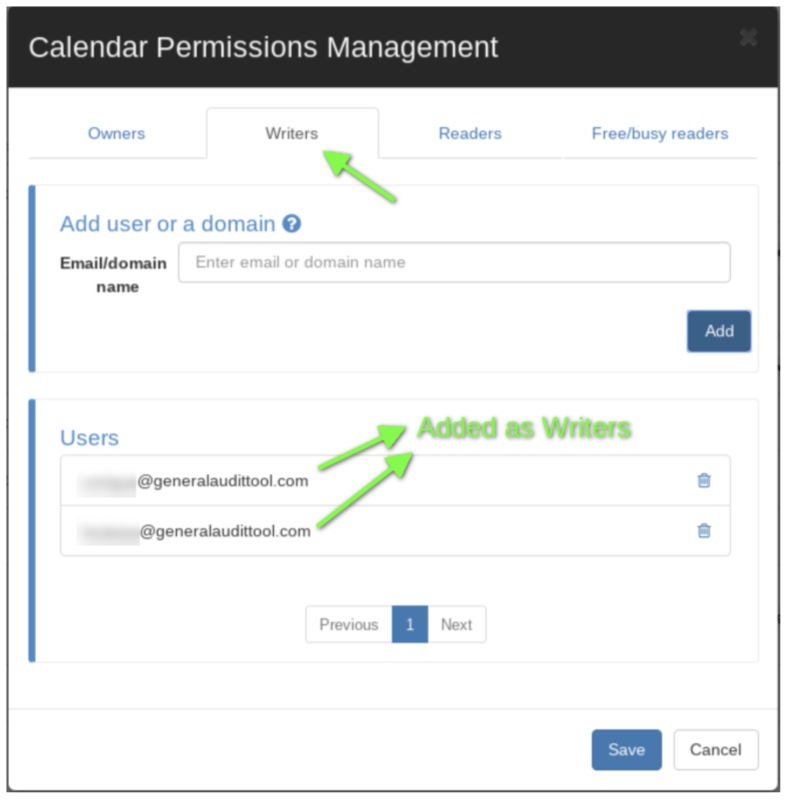 Admins can add additional users onto another user’s primary (default) calendar. Users who have been added as additional owners of a calendar will receive an email with a description and a link to open their calendar to view the changes. The calendar will show under the heading ‘My calendars’, the user will have permission to create, edit or delete events on that calendar. All additional owners will have full control over the original owner’s calendar. 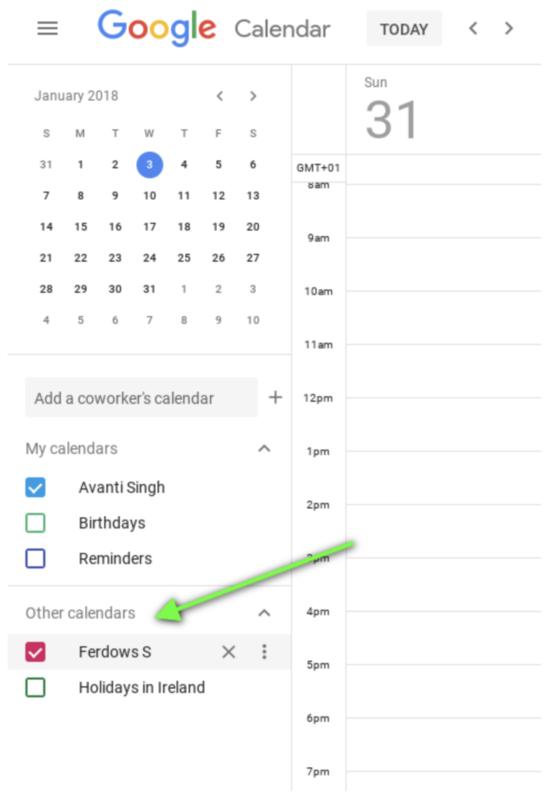 NOTE: If the Calendar is not a primary calendar meaning it’s not the default calendar of a user, admins are able to remove the previous owner after they have added an additional owner. When a user is placed on the Writer/Reader field of a calendar permission. They will have access to those calendar resources. Those users will receive an email with a description of what changes the admin has made. You might find this article useful.